Our full service letter shop prepares all types and classes of mailings – from first class postcards to tubes and parcels. We can even process your international mail. Labels&Letters’ letter shop serves major clients in northeast Ohio. Based in Stow, about 25 miles south of Cleveland we cater to area businesses, universities, government and nonprofit organizations. Additionally, we have letter shop clients throughout the U.S.
Our staff understands how mailings should be prepared. 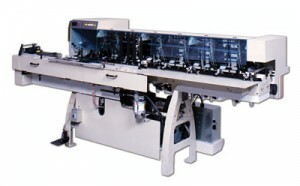 Because of our expertise, other mailers use us to prepare their labels and inkjet output. Our letter shop does folding, inserting, tabbing, sealing, metering and addressing and a host of other services. Give us a call so we can discuss your needs.